I’m sure many of you have had a wild animal on your neck while you are driving down the road! As an environmental scientist, many crazy things have happened to me in the wild with critters. 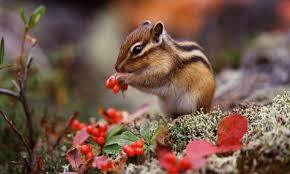 This adventure is about the most famous chipmunk of all, Ralph. OlderPodcast #103 Summer Fun Starts Now!